longest flight distance, which allowed him to win the whole competition. In 1932 also together with Franciszek Hynek, he took part in the Gordon Bennett Cup in Basel. This was the first competition from the cycle, in which teams representing Poland participated. Next Gordon Bennett Cup took place in Warsaw. 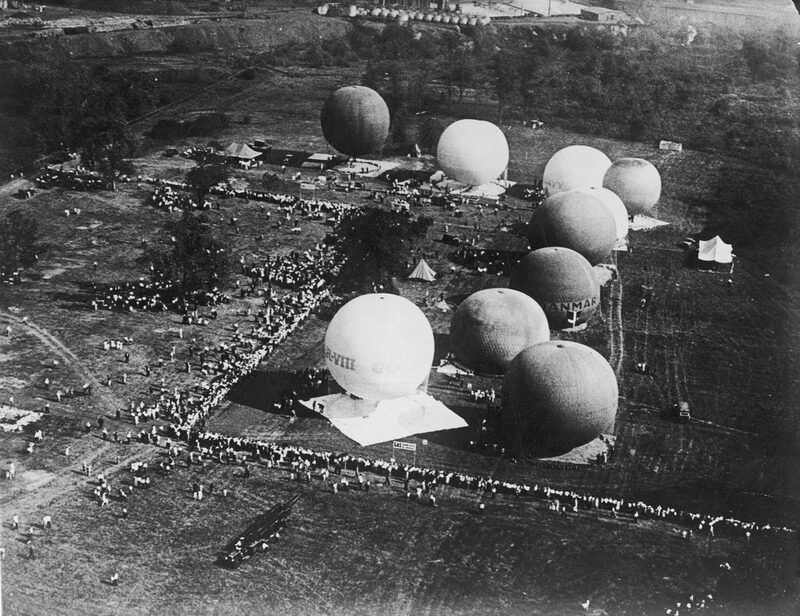 Polish crew including Zbigniew Burzyński and Jan Zakrzewski placed second in the competition in their “Warszawa II” balloon. Only Francisszek Hynek together with Władysław Pomaski in their “Kościuszko” balloon placed higher. A year later Zbigniew Burzyński together with Władysław Wysocki won the competition flying in a “Polonia II” balloon. When a Polish team won the prestigious balloon competition for the third time in a row, Poland was allowed to keep the Gordon-Bennett Cup. Apart from winning national and international balloon competitions, Zbigniew Burzyński together with Władysław Wysocki in 1935 set a new balloon flight altitude record reaching 9.437 metres. A few months later in July 1935 he managed to beat his own record exceeding the altitude of 10,000 metres. In March 1936 together with Konstanty Jodko-Narkiewicz he set a new world record in “Warszawa” balloon, as he reached the altitude of 10.835 metres. In the table of records run by World Air Sports Federation FAI the record remained unbeaten for over 26 years. 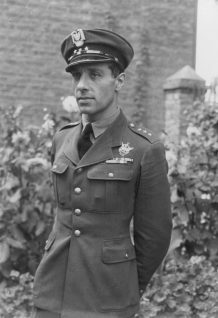 Zbigniew Burzyński carried out a total of 138 balloon flights — a half of them before World War II. He flew 1.500 hours on free balloons, balloons on a leash and on airships. He has been awarded many times for his merits in the area of balloon sports, professional career and community work with, among others, Officer’s Cross and Knights’s Cross of the Order of Polonia Restituta, Golden Cross of Merit (twice). He also received two diplomas from World Air Sports Federation FAI: Paul Tissandier’s Diploma in 1959 and a year later Montgolfier’s diploma. 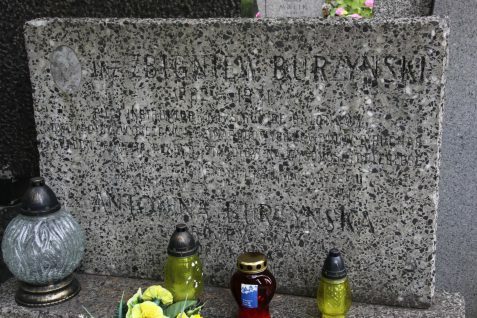 Zbigniew Burzyński died on December 30, 1971 in Warsaw. One of the streets in Warsaw’s district of Gocław has received his name. Gordon Bennett Cup in Basel. Balloons before take-off. 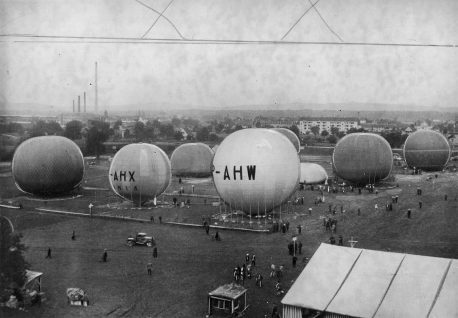 Polish baloons “Gdynia” (AHX) and “Polonia” (AHW) visible on the photograph. September 1932. Gordon Bennett Cup in Chicago. Balloons before take-off. August 1933.